Osteoarthritis (OS-tee-oh-are-THRY-tis) (OA) is one of the oldest and most common forms of arthritis. Known as the “wear-and-tear” kind of arthritis, OA is a chronic condition characterized by the breakdown of the joint’s cartilage. 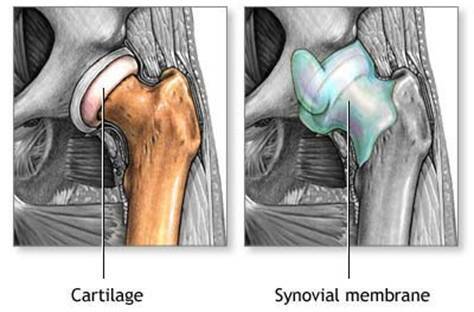 Cartilage is the part of the joint that cushions the ends of the bones and allows easy movement of joints. The breakdown of cartilage causes the bones to rub against each other, causing stiffness, pain and loss of movement in the joint. Osteoarthritis is known by many different names, including degenerative joint disease, ostoarthrosis, hypertrophic arthritis and degenerative arthritis. Your doctor might choose to use one of these terms to better describe what is happening in your body, but for our purposes, we will refer to all of these as osteoarthritis. It is thought that osteoarthritis dates back to ancient humans. Evidence of osteoarthritis has been found in ice-aged skeletons. Today, an estimated 27 million Americans live with OA. 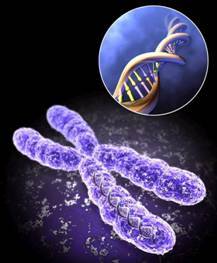 Despite the longevity and frequency of the disease, the cause is still not completely known and there is no cure. In fact, many different factors may play a role in whether or not you get OA, including age, obesity, injury or overuse and genetics. Your OA could be caused by any one or by a combination of any of these factors. Affect the shape and makeup of the joint so it doesn’t function smoothly. This can mean that you limp when you walk or have trouble going up and down stairs. Cause fragments of bone and cartilage to float in joint fluid causing irritation and pain. Mean the joint fluid doesn’t have enough hyaluronan, which affects the joint’s ability to absorb shock. While there isn’t any single known cause of osteoarthritis (OA), there are several risk factors that should be considered. There are two distinct types of osteoarthritis – primary and secondary. 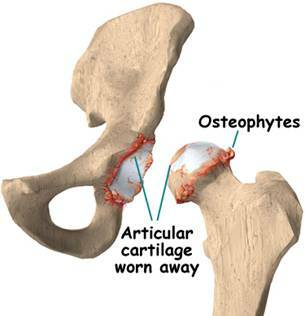 Primary osteoarthritis is the type associated with aging and is thought of as “wear and tear” osteoarthritis. The older you are, the more likely it is that you will have some degree of primary arthritis. In contrast, when someone is diagnosed with secondary osteoarthritis, it is because there is an apparent cause for the disease. In other words, the breakdown of cartilage can be associated to injury, heredity, obesity or something else. Listed below are the risk factors for osteoarthritis. Obesity. Increased body weight is a serious factor in the development of OA, particularly in your knees, which carry the brunt of your weight day in and day out. For every pound you gain, you add 3 pounds of pressure on your knees and six times the pressure on your hips. Injury or Overuse. Athletes and people who have jobs that require doing repetitive motion, such as landscaping, typing or machine operating, have a higher risk of developing OA due to injury and increase stress on certain joints. OA also develops in later years in joints where bones have been fractured or surgery has occurred. Muscle Weakness. Studies of the knee muscles not only show that weakness of the muscles surrounding the knee can lead to OA, but that strengthening exercises for thigh muscles are important in reducing the risk. Other Diseases and Types of Arthritis. People with rheumatoid arthritis tend to have a greater chance of developing OA. Joint soreness or stiffness after periods of overuse or inactivity. Joint pain is usually less in the morning and worse in the evening after a day’s activity. Deterioration of coordination, posture and walking due to pain and stiffness. Fingers: Pain and swelling of the finger joints, bony growth spurs at the joint at the end of the finger, called Heberden’s nodes, or at the middle joint, called Bouchard’s nodes. Early diagnosis and treatment is the key to controlling osteoarthritis. Your doctor will take a medical history and perform a physical exam to assess your disease activity. Your doctor will use four main tools to determine your diagnosis: your medical history, a physical exam, X-rays, and joint aspiration. The medical history and physical exam will be what he or she bases the diagnosis on, using tests such as X-rays and joint aspirations to confirm the diagnosis. Your doctor will want to know about your health background, including any diseases or conditions you currently have, any allergies you have to medications or other substances, and surgeries and other medical procedures you’ve been through. 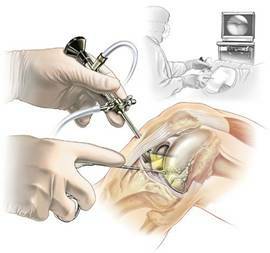 Joint aspiration (or arthrocentesis). This involves draining fluid from the joint for examination. It can help rule out other medical conditions. After applying a local anesthetic, your doctor will insert a needle into the joint and withdraw fluid. The fluid will be examined for evidence of crystals or joint deterioration. X-rays. 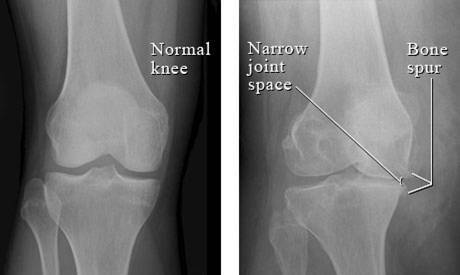 X-rays are used to highlight damage or other changes to cartilage and bone that indicate OA. MRI or magnetic resonance imaging. This is essentially a more sophisticated way than X-rays of taking a picture of the abnormalities that can occur due to OA. You lie on a table that slides inside a tunnel-like area that creates a magnetic field around you. It shows more detail than X-rays, without the radiation risk, but it is more expensive as well. It is important that you get your osteoarthritis (OA) diagnosed and treated as early as possible. Early diagnosis and treatment is the first step in successful management of osteoarthritis. Your doctor may start you on a drug therapy regime, but ultimately you are the key factor in living successfully with OA. Most people with osteoarthritis will use drug therapy to ease the symptoms of the disease. Most drugs focus mainly on relieving pain, but some are targeted at other symptoms and slowing disease progression. You and your doctor should work together to find the combination of medications that works best for you. Analgesics - Analgesics relieve pain without relieving inflammation or swelling. If you are only interested in pain relief, these drugs tend to have fewer side effects. 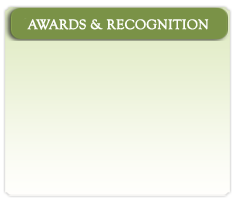 They are recommended for people with mild-to-moderate pain. Examples of analgesics include acetaminophen, propoxyphene hydrochloride, and tramadol. Topical Analgesics - Topical analgesics include creams or rubs that are applied directly over the painful area. These are available over-the-counter and often can be used in combination with oral medications to relieve pain. Never use topical analgesics with heat treatments; the combination can cause serious burns. Nonsteroidal anit-inflammatory drugs (NSAIDs) - NSAIDs reduce inflammation and swelling as well as aid in pain relief and are recommended for people who have moderate-to-severe pain and signs of inflammation. Cox-2 Drugs - Cox-2 drugs are targeted NSAIDs that don’t cause the stomach irritation associated with traditional NSAIDs. Examples of cox-2 drugs are celecoxib and valdecoxib. Injectable glucocorticoids - Injectable glucocorticoids are steroids that are injected into the joint for fast, targeted pain relief. They are recommended as an alternative initial therapy for people with moderate-to-severe knee pain and signs of inflammation who do not get relief from acetaminophen. You may only have these injections in the same joint three or four times a year. Viscosupplements - Viscosupplementation is used specifically for knee osteoarthritis and must be administered by an orthopaedic surgeon. 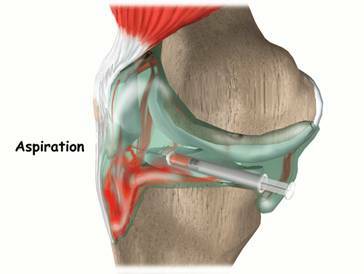 It involves a series of injections over a period of weeks into the joint of hylauronic acid, a substance found in the body that gives joint fluid its viscosity. Examples are Synvisc and Hyalgan. Your osteoarthritis (OA) may be treated by your primary care physician or you may be referred to a rheumatologist (an arthritis specialist) or an orthopedic surgeon. Sometimes OA can affect your ability to do everyday tasks such as bathing, dressing and walking. If you are having trouble with these types of tasks, your doctor may prescribe physical or occupational therapy. A physical or occupational therapist can give you more good recommendations on protecting your joints. Ask your doctor to refer you to one if you feel you need additional assistance. Physical therapy works on strengthening your muscles and improving your flexibility and your joint mobility. Your physical therapist will work with you on a specific exercise program and other pain management techniques. Occupational therapy focuses on helping you manage your daily activities. Your occupational therapist will show you ways to perform tasks without putting damaging stress on your joints. Arthroscopic Surgery - In this procedure, the surgeon inserts a very thin tube with a light at the end into the joint through a small incision. 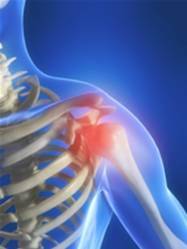 It is connected to a closed-circuit television and allows the surgeon to see the extent of the damage in the joint. Once there, the doctor can take tissue samples, remove loose cartilage, repair tears, smooth a rough surface or remove diseased synovial tissue. It is most commonly performed on the knee and shoulder. Osteotomy - Literally meaning, “to cut bone,” this procedure is used to increase stability by redistributing the weight on the joint. Osteotomy is useful in people with unilateral hip or knee osteoarthritis (involvement in only one joint), who are too young for a total joint replacement. Joint Replacement Surgery or Arthroplasty - This is the surgical reconstruction or replacement of a joint. Successfully used to help people who otherwise might be in a wheelchair, joint replacement surgery involves the removal of the joint, resurfacing and relining of the ends of bones and replacing the joint with a man-made component. This procedure is usually recommended for people over 50 or who have severe disease progression. Bracing is a treatment option mostly used in combination with other solutions. Bracing can help stabilize your affect joint, allowing it time to heal after surgery or redistributing weight and limiting motion so you can better function in your daily life. Nondrug therapies are an important part of the treatment of osteoarthritis. Like your medication therapy, you will need to work with your healthcare team to develop a plan that works for you. Following are several elements you will need to consider when creating your plan. Don’t set unrealistic goals. Take some time to plan out your daily activities. Make a “to do” list that leaves you plenty of time to achieve all your tasks - and don’t add to it.